Enjoy this relaxing home that captures cooling afternoon sea breezes from its elevated position. The home is packed full of features such as gas cooking, s/steel appliances, air conditioning, polished timber flooring, ensuite, large bedrooms, high ceilings, outdoor spa and covered entertaining verandah. The floor plan is spacious and practical in its layout and flows effortlessly to the 2 indoor living spaces and 1 outdoor area. The 626m2 (approx.) 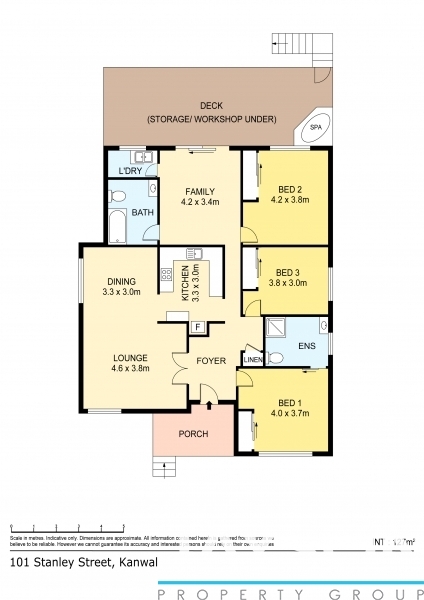 block has a fully fenced rear yard with wide side access - perfect for a boat or caravan. Located within walking distance to Tuggerah Lake, local school, park, public transport and Wyong hospital. And just a short drive to the boat ramp and stunning Central Coast beaches. Call Jason Graham on 0466 888 844 for further details as this one will not last!